Three days ago we emailed this letter to Ms Catherine King. Ms King is the Shadow Minister for Health and Medicare in the Federal Parliament. 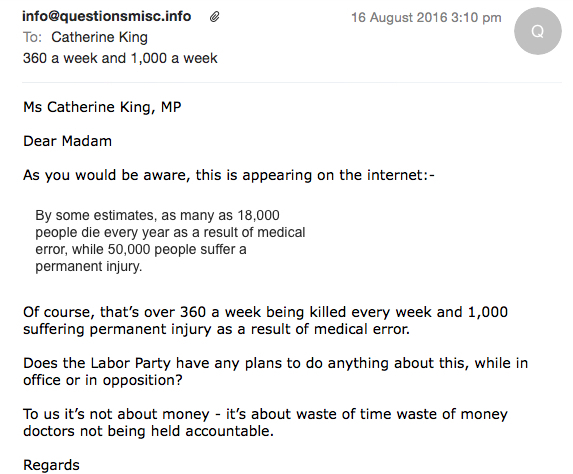 We would have thought that claims that medical error is causing over 360 to die every week in Australia and 1,000 a week to end up with permanent injury would be of some concern to the Labor Party in general and Ms King in particular. We’ll let you know if we hear anything from her.